So, care of the delightful Danielle LaPorte, I came across a very cool Challenge called 21.5.800. 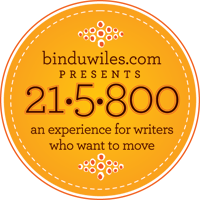 The gig is thusly: do yoga 5 days a week, and write 800 words a day, for 21 days. It delighted me on many levels. I love to write, plain and simple. And I think I’m rather good at it; on some days, one might even think I am witty and perverse. (It is possible that I am that one. Just sayin’.) In my long journey back from the black void of injury, I have recently discovered that yoga makes a huge difference in how my back feels and functions. A positive difference. You would think that would be reason enough to make space for it on a daily basis. But if you did, it would become immediately clear that you don’t know me very well…pfft, to think that I would help and care for myself when I could sabotage and victimize myself? Clearly, my dear, you just don’t know me at all. Which brings us to day one of said Challenge. I had big plans to hunker down to some yoga. It’s been a couple of weeks since I’ve done any, and my body is still pretty fragile on the best of days, so I knew I’d have to start light and slow, and work my way in over time, as dictated by my body. Because, beyond all else, I am the world’s biggest proponent of LISTENING TO MY BODY. But first things first. My living room – the only place in the house I really have enough floor space for yoga – was a disaster zone. It looked as if Home Depot, ToysRUs, and the Children’s Place had collided, leaving a trail of Barbies, Bakugans, miraculously folded laundry by the ton, single mismatched socks, and screwdrivers…why so many screwdrivers?…in their wake. Add a few guitars, a piano, and a whole mess of computer and office equipment. And computer cords (the bane of my existence.) And underneath it all was some oversized furniture and a whole mess o’ crumbs n’ dust bunnies. May I just mention at this time that my living room is about 13′ x 13′ -ish. Not a large space. So the first order of business was to clean the living room. I’d been successfully putting it off for two weeks. But it could be off-put no more. I put my three short minions kids to work. “Put away your laundry.” “Take these baskets of stuff I’ve sorted and put it all away – this basket is yours, this one is yours, yours is over there.” “Go get the broom and sweep the floor.” “This is how a vacuum works, honey.” By the end of it, I felt very Miss Hannigan-like. Right down to the drinking problem. The problem was, I still ended up doing so much bending over and picking up, my back raised high holy hell after about an hour and a half. At which time we were ~ mercifully ~ pushing the furniture back into place and straightening the rug. My parents arrived for a family dinner just at the moment that I was elbow deep in the freezer, desperate for ice to load up the ice pack intended for my back. A shot or nine of tequila wouldn’t have hurt at that point either, but strangely didn’t materialize. Yoga – fail. BUT space has been created for yoga from here on out. So maybe its not really a fail after all. Because isn’t yoga about making space, inside and out? Writing – win. 820 words baby! And still in bed by 11:15. Happy mama.